Founded June 19, 1934, in Chicago, Illinois, this national organization of state alcohol beverage regulators purpose is to promote the enactment of effective and equitable state alcoholic beverage laws, and provide a forum for networking among the regulators and industry. The National Conference of State Liquor Administrators welcomes anyone or organization directly or indirectly affiliated with the alcoholic beverage industry to join our organization as an associate member. "“As a regulator it's imperative that we understand the issues and influences of the alcohol industry. NCSLA provides a unique platform that promotes the exchange of information and ideas between other regulators and industry members." " The NCSLA is an amazing resource and membership gives me the opportunity to interact with other state regulators and discuss industry trends or best practices. The NCSLA hosts conferences that are informative and the NCSLA Forum gives me the ability to ask questions of other state regulators in a fast, efficient manner. " "For any professional working in the liquor or hospitality industry, access to this informed network of professionals is a must. NCSLA is the one-stop-shop that allows me to stay informed about the alcohol regulatory world, and find strong partners whenever I am looking to explore new opportunities or bring new ideas to fruition." 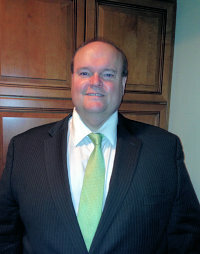 Jeffrey A. Kelly is the Director of the Field Enforcement Division for the Comptroller of Maryland. The Field Enforcement Division is Maryland’s regulatory and enforcement agency for the State’s alcohol, tobacco, and motor fuel industries. Prior to being appointed Director in 2008 by Comptroller Peter Franchot, Jeff worked as the Deputy Director and as a field supervisor. Jeff’s career in public safety spans over 37 years; the last 16 of which encompass alcohol regulation. He is an executive board member of the Maryland Alcohol Licensing Association and a member of the Governor’s Advisory Commission on Maryland Wine & Grape Growing. Before joining the Office of the Comptroller, he was a police officer for the Anne Arundel County Police Department where he retired as the Executive Officer of the Western District. Jeff has a Bachelor of Science Degree from the University of Maryland in Management Studies with major course work in accounting, management, and financial planning. He has a Certificate in Emergency Medical Technician – Paramedic and a Certificate in Financial Planning. Jeff lives with his wife in Anne Arundel County and has three sons and four grandchildren. Do you know who to contact for answers to regulatory matters pertaining to your business? Become an Associate member and develop business relationships, with key state and federal beverage alcohol regulators and agency personnel, in over 40 states and local jurisdictions. As a State member, gain valuable institutional knowledge and learn from subject matter experts in the beverage alcohol industry. Annual membership allows attendance at the national conference and two regional conferences where you can network with other regulators and industry members alike, while learning information on current issues and events in the industry and regulatory arena. How to Convince Your Boss to Send You to a Conference. Are you dying to attend a NCSLA conference, but you're not sure how to convince your manager to let you go? Help is here! Join our NCSLA members only LinkedIn group. We will have group discussions about our organization and pertinent industry issues.